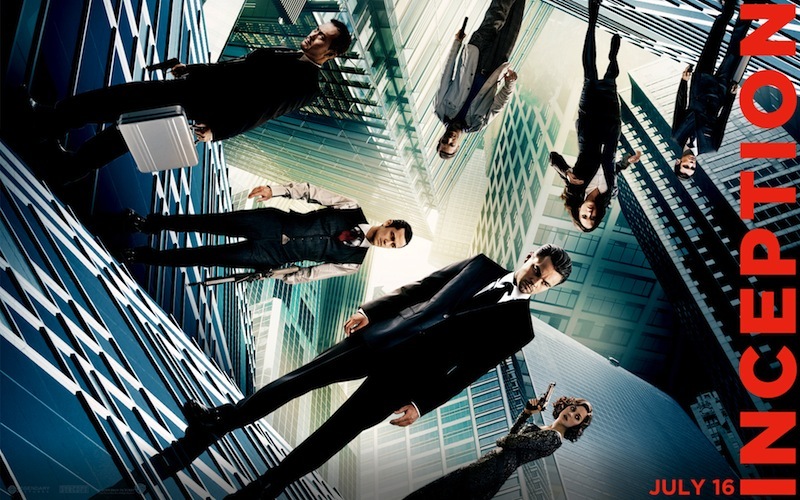 Following up on the massive success of Dark Knight, director Christopher Nolan teams up with the likes of Leonardo DiCaprio, Ellen Page, and Ken Watanabe to produce a fantastic movie that's part bank robbery, part matrix, and part beautiful surreality. The film's premise is pretty straightforward: there is a method for people to enter in other people's dreams, and by manipulating the environment of the dream, it is possible to run a sort of metaphysical con game, getting the victim to reveal secrets. This is a process called "extraction" and there is a lucrative black market for people who can pull this off. The film really starts getting going when the main characters are hired to accomplish a much more tricky task called "inception": sneaking in and planting an idea in a victim's head and doing so in a way that the victim believes it was their own idea all along. Like all good movies, the actual technology this works is not important, only that the audience accepts that it is. Once past that, the film makes sure to ground this concept with basic rules, what can and can't be done, etc. This is done smoothly as DiCaprio's character recruits people for his job, including a relatively newbie played by Page. As the movie moves into the main plot, the film definitely gets a bank robbery sort of thing going, as experienced mercenaries come up with a plan and try to execute it despite everything slowly going wrong. Visually, the film is amazing. It comes across very similar to Nolan's Dark Knight, a gritty but real, grounded world. As the characters enter the dreams, the visuals become either slightly or extremely surreal depending on the situation, but it never gets completely flash-bang. Despite some amazingly cool visuals such as the curving world in the trailers, you're never pushed completely out of the movie. It's the "oh wow" without the "oh come on". This film is a long one, clocking in at two and a half hours, but every moment is mind blowing. It's not a summer action film or a drawn out drama. Go in expecting the same well-grounded science-fiction as Nolan gave with his Batman sequel, and you'll be simply amazed. Highly recommended!